There is nothing more frightful than ignorance in action. Johann von Goethe. When I consider a Graffiti Writer, I always judge the man before the artist. But if I should judge the artist only, I would judge him 50% for his creativity and 50% for his Graffiti culture. 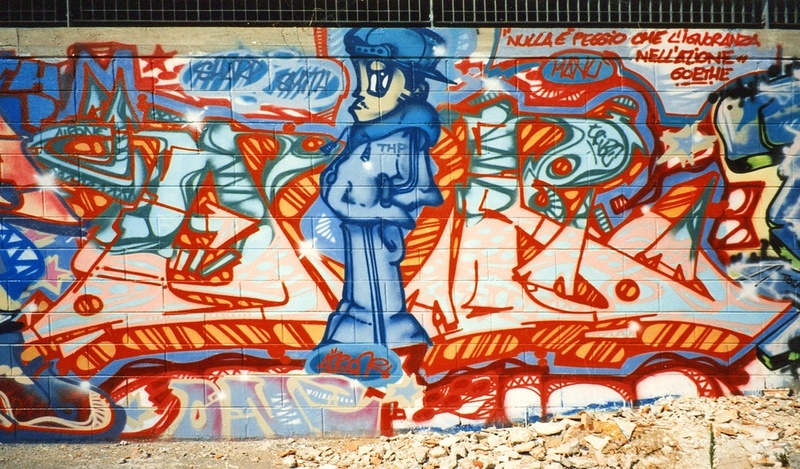 Graffiti is oral history passed on by old generations to new generations and it carries on legends, myths, rules and motivations that constitute its roots. These roots are its lifeblood, the reason that makes you different from any other street artist. These roots dont make you better than any other artist out there, but they are the secret ingredient that art-critics will never understand or learn: ’cause you must leave as a Writer to absorb them. You can love or hate these roots, you can be an innovator, but you must know them.